Join us for the grand opening of Deseret UAS (Unmanned Aerial Systems) Xperience Center. This state-of-the-art facility showcases UAS simulations, hands-on demonstrations, real-time test flight viewing, and collaborative meeting spaces. 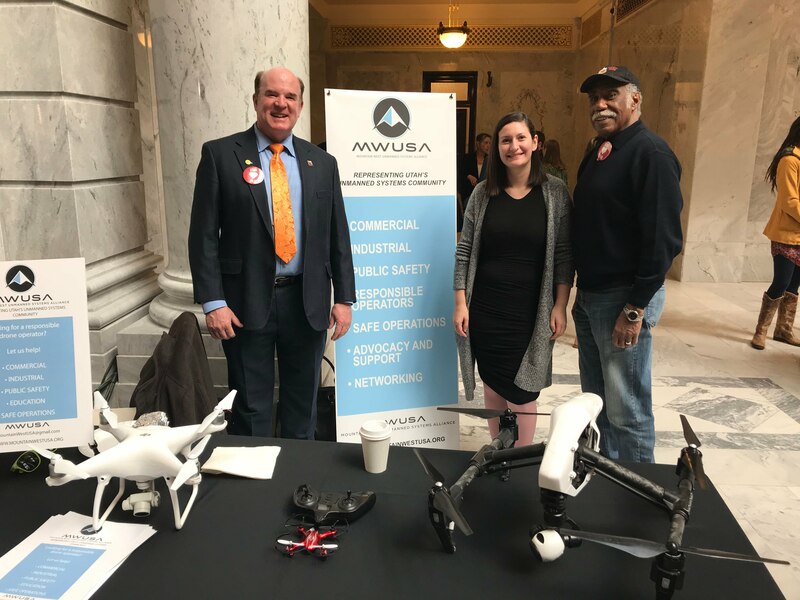 Deseret UAS is a nonprofit organization created jointly by Tooele and Box Elder Counties in close partnership with Ogden City and funded through a grant from the Utah State Legislature. 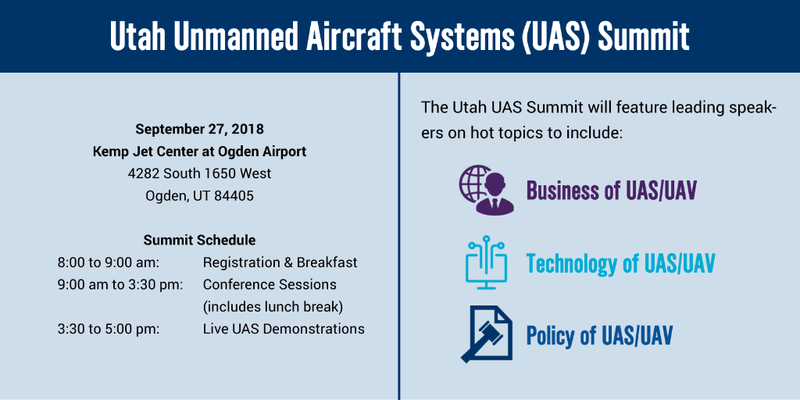 Join us for the Utah Unmanned Aircraft Systems (UAS) Summit, coming up on September 27, 2018 at the Ogden Airport. If you are a Scientist, Defense Member/Contractor, Engineer, Educator, Lawmaker, Public Safety Official, Investor, or Entrepreneur engaged in unmanned systems technology, this summit is for you. According to the U.S. Department of Transportation, over 1 million drones had been registered as of January 2018. This underscores the importance that the high-growth Unmanned Aircraft Systems (UAS) industry will have on the future of defense, security, public safety, commerce, research, agriculture, natural resource development, and dozens of other industries. Due to intense growth, the need for policies and technology to manage this emerging industry is essential. Ogden City, in cooperation with Deseret UAS and Box Elder County, is hosting a conference on the politics, business, and future of drones to be held September 27th at the Ogden Airport Kemp Jet Center. UAS demonstrations will take place at the end of the conference at the Ogden Airport. Conference speakers include leaders in defense, researchers from Utah’s major universities, industry leaders, and entrepreneurs. Please contact Terrence Bride with any questions at (801) 791-9212 or e-mail. Quarterly SLC airspace UAS Group meeting. Plan is to start at 9am on Tuesday June 12 and go for about 2 hours. The meeting is scheduled until noon just in case there is extra discussion items. Utah did not get the IPP so now what?